Dentures and False Teeth by Mr Jeremy Kearns - Verdant Dental: The Friendliest Dentists at 1/1 326 Keilor Road Niddrie 3042! 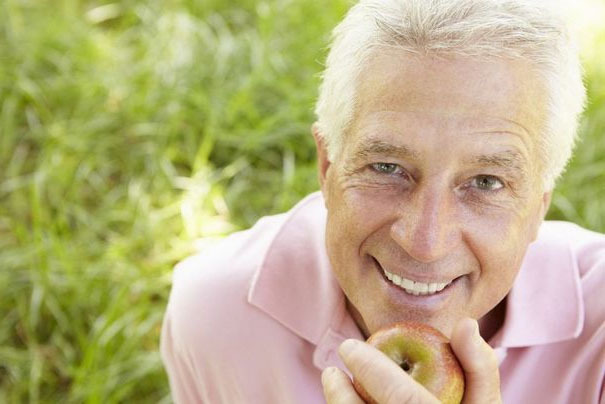 Fantastic dental prosthesis (dentures) can get you enjoying life again! I’ve known Mr Jeremy Kearns for many years now as a colleague and friend. He is one of the most experienced Dental Technicians (Prosthetists) that I know! Jeremy used to be in charge of the Royal Dental Hospital of Melbourne’s Dental Laboratory, and brings many decades of experience to his work at Verdant Dental. Those of you who know Jeremy are aware of his calm and easygoing nature. Jeremy always makes sure you know of the many different ways he can construct custom made dental prosthetics (also known as “falsies”, false teeth, and dentures). You probably know that dentures don’t last forever. Teeth get worn down, plastics can crack, and of course as we get older, the shape of our gums change and things don’t fit like they used to. Jeremy has the experience and knowledge to custom make a brand new set of dentures for you! And the best bit is that Jeremy is part of our great Dental Team – we all work together to ensure that you get the best possible treatment and planning for your work. For example, you may need some bad teeth removed and added to an existing denture, or as part of having a new denture made. With Jeremy working within the practice, we are able to plan and provide treatment in a co-operative, well planned way. For example, we could book you in for tooth extractions at 10am with one of our experienced dentists. Jeremy can then deliver your new denture 30 minutes later, without you having to leave our premises! Mr Jeremy Kearns is usually available every Wednesday morning (and usually Wednesday early afternoons) for consultations. Making you a new set of teeth is both an art and science. Jeremy should be the only person you trust to deliver you the best smile possible. Make an appointment for a new smile with Mr Jeremy Kearns! For an appointment, call us on (03) 9379 3736 and we’ll help you! ← Need an Italian, Greek or Gujarati (Hindi) speaking dentist near Essendon?